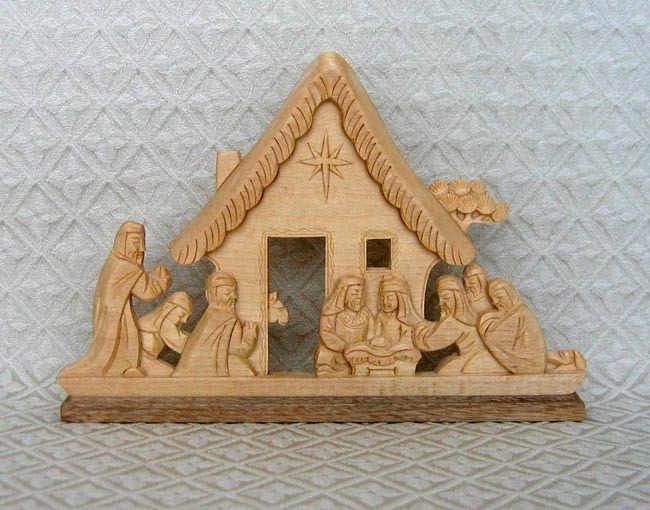 This Nativity scene with pedestal in linden wood includes Mary, Joseph, and Jesus in a stable being adored by three shepherds and three wise men. One animal’s head is in the background. The scene measures 8.25 inches long by 5.75 inches high.